Jack Ryan is an adaptation of Tom Clancy's novel that depicts a dangerous situation CIA agent Jack Ryan finds himself in, when he is assigned a field assignment after discovering a global threat of terrorism. Where can you stream Jack Ryan? On 2018-08-30 Action & Adventure/Drama TV Series Jack Ryan first aired on Amazon. 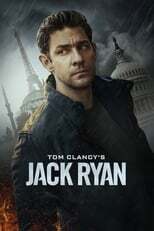 Written and created by Graham Roland & Carlton Cuse, and produced by Paramount Television & Amazon Studios, Jack Ryan will return and was last broadcasted on 2018-08-30.